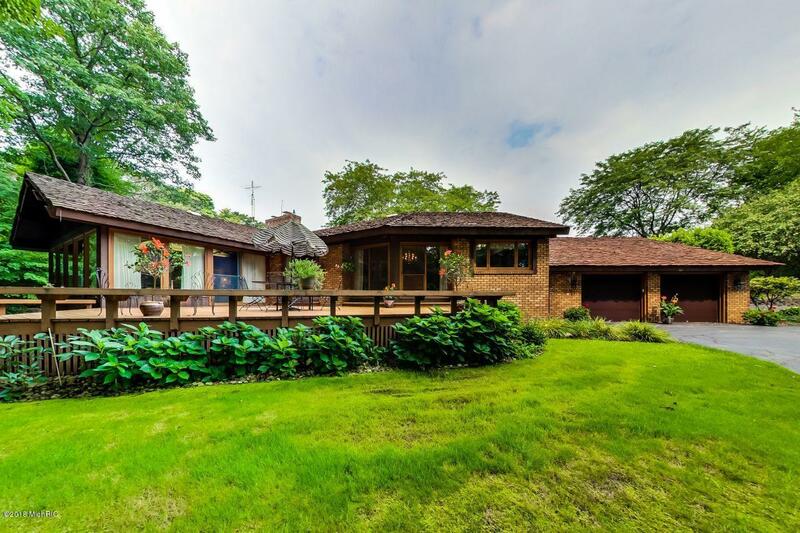 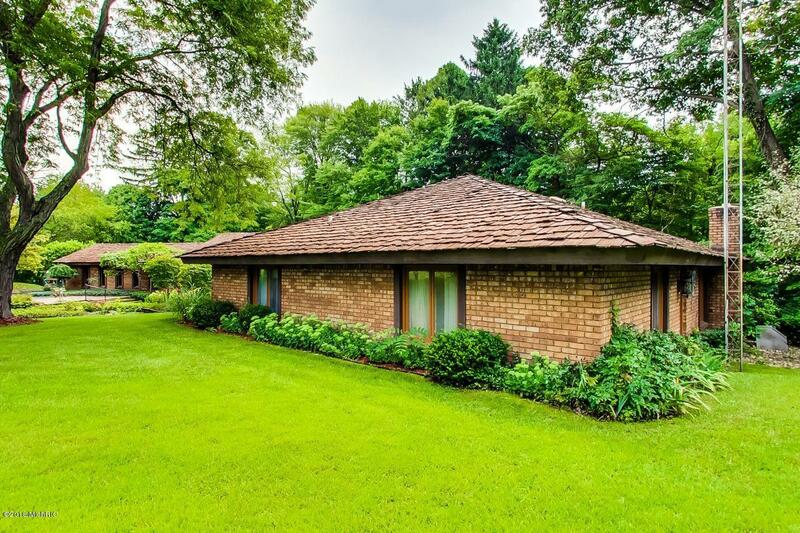 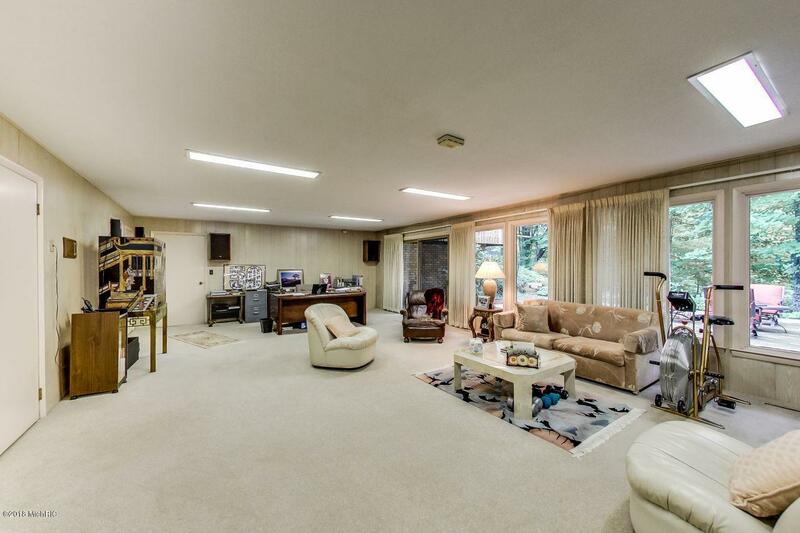 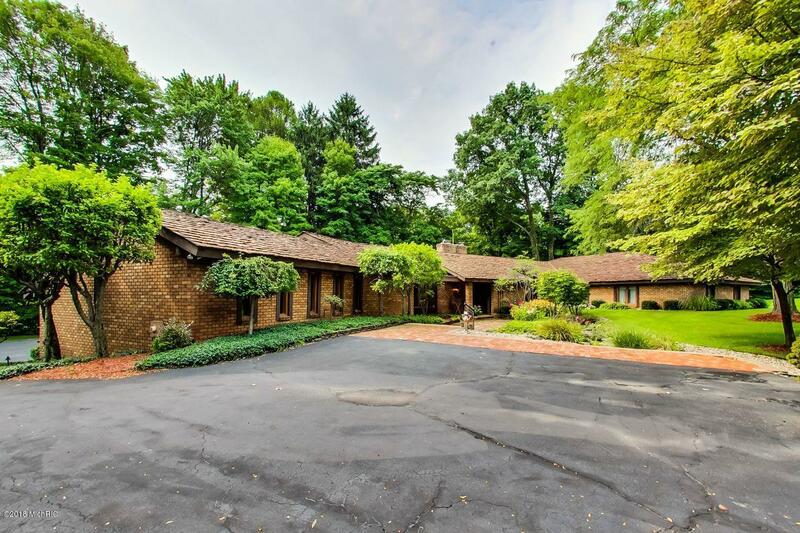 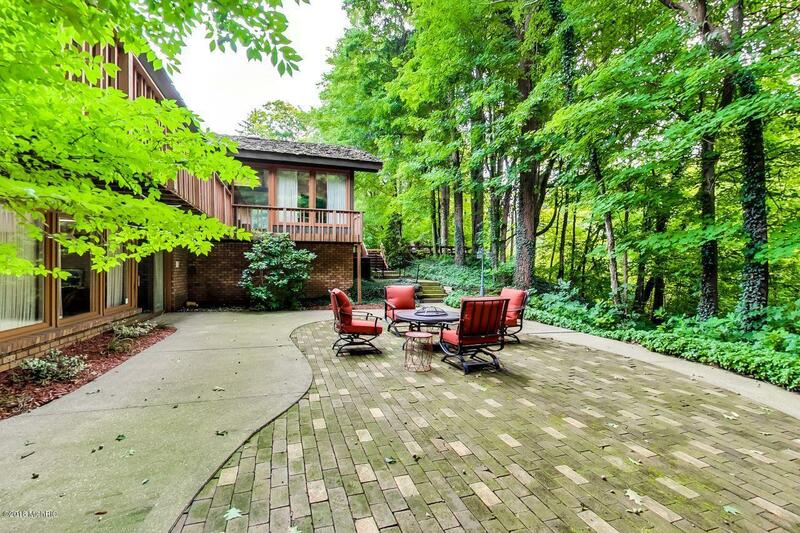 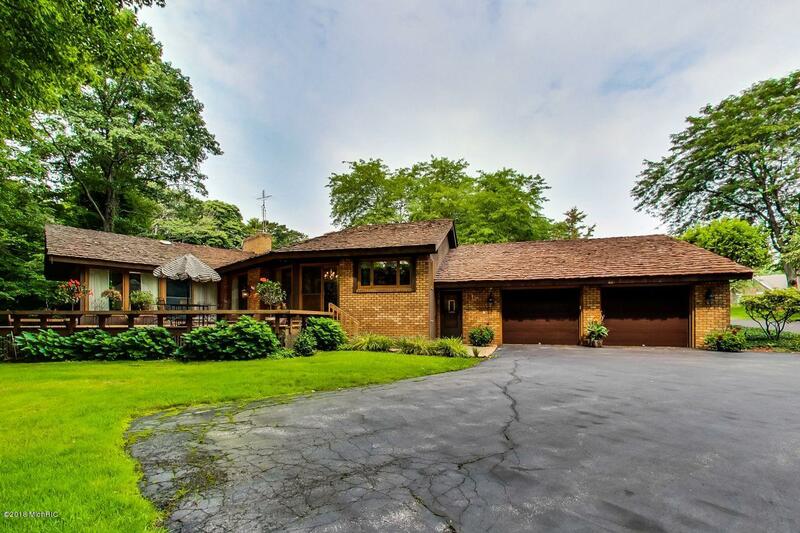 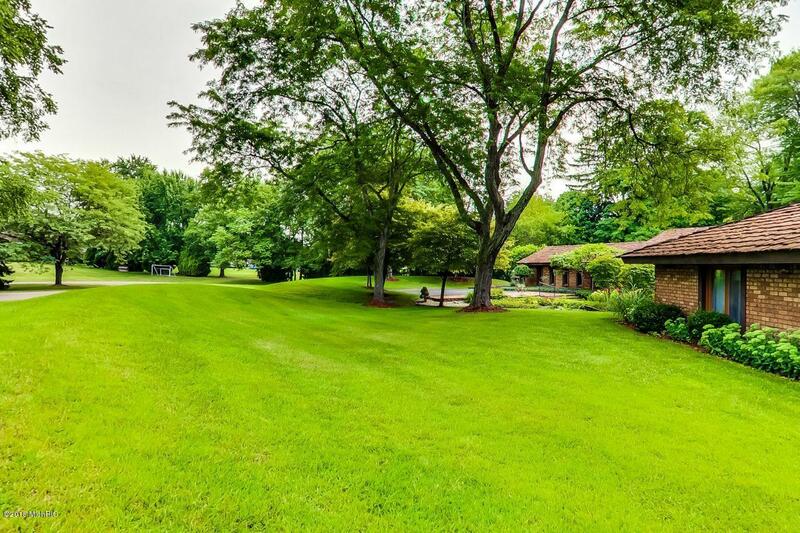 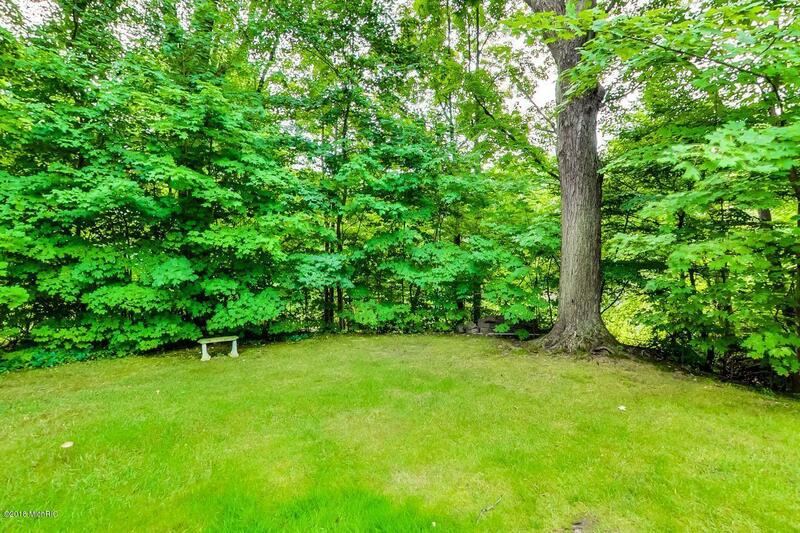 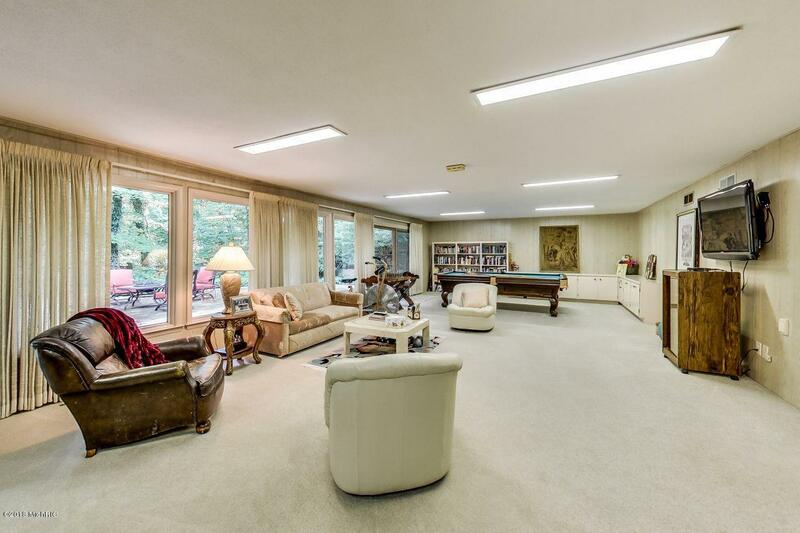 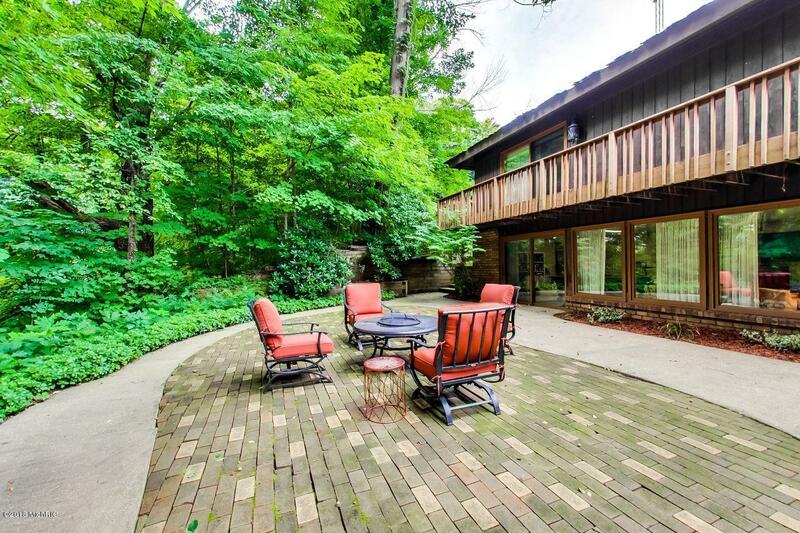 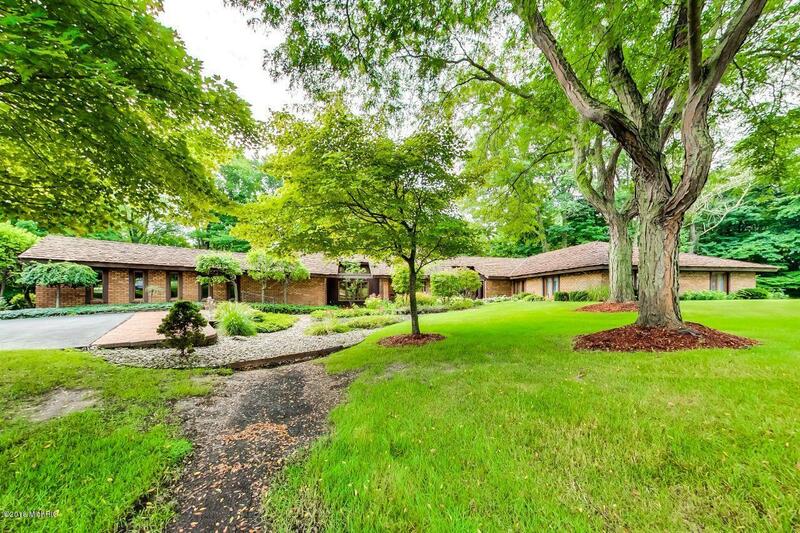 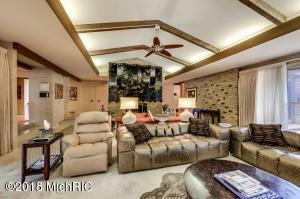 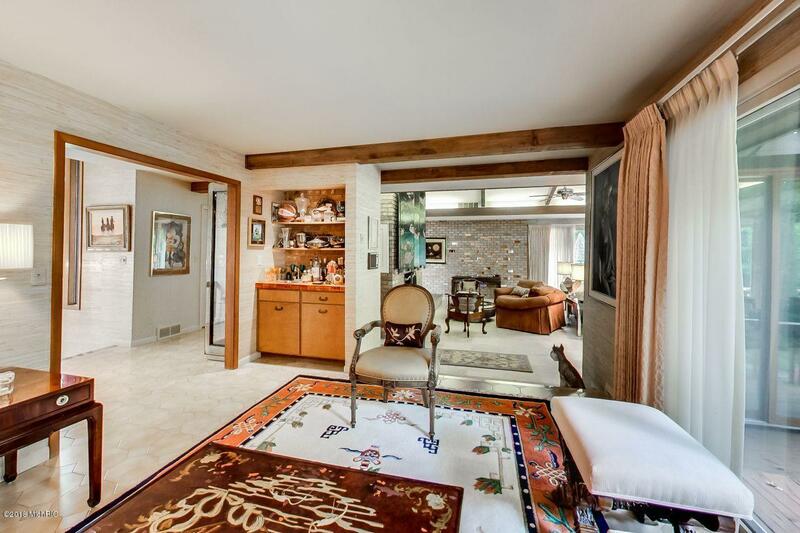 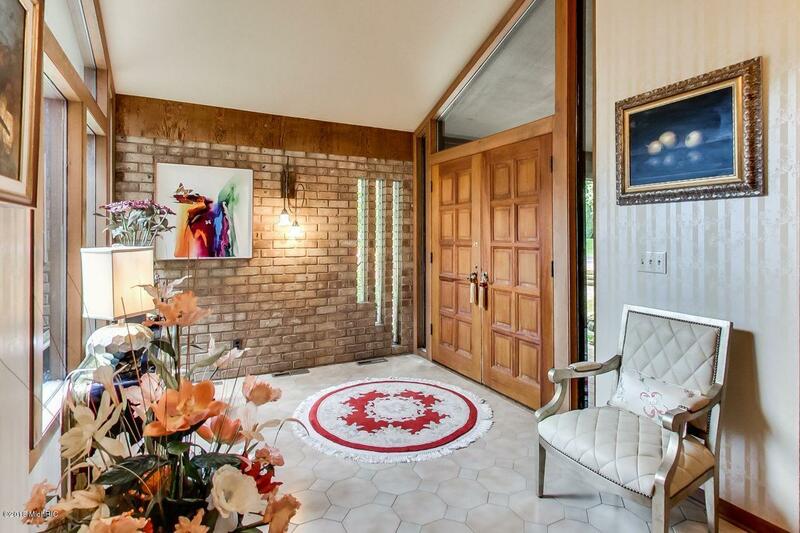 This impeccably maintained Mid-Century Modern ranch home is situated on 1.3 acres of manicured grounds overlooking pond and woods. 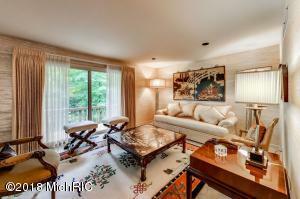 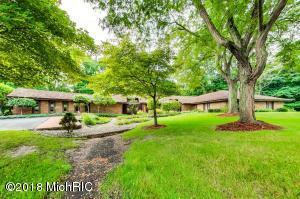 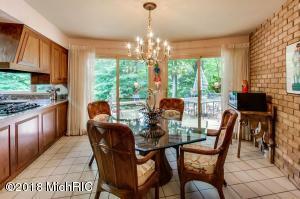 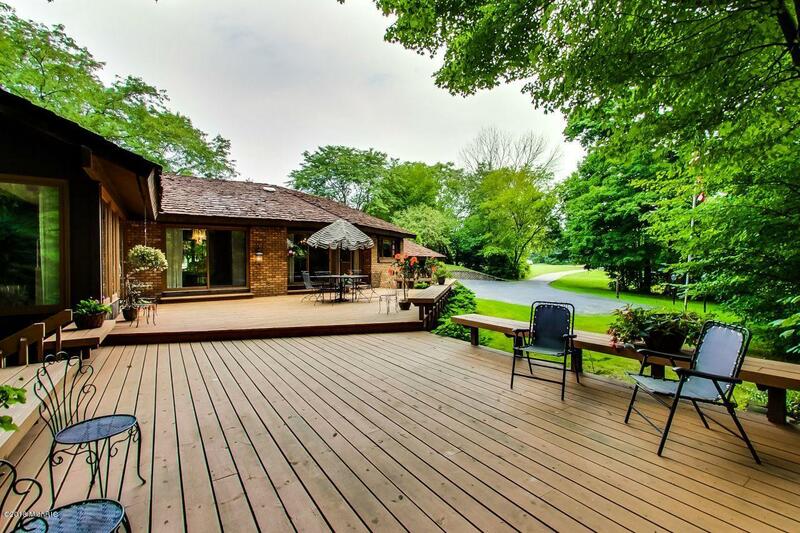 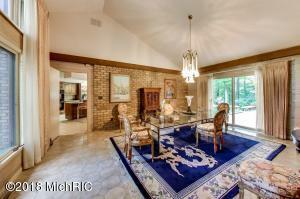 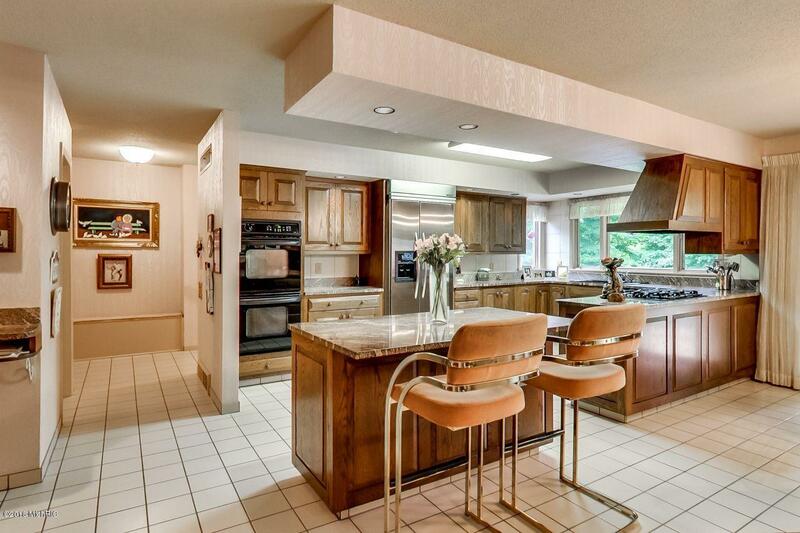 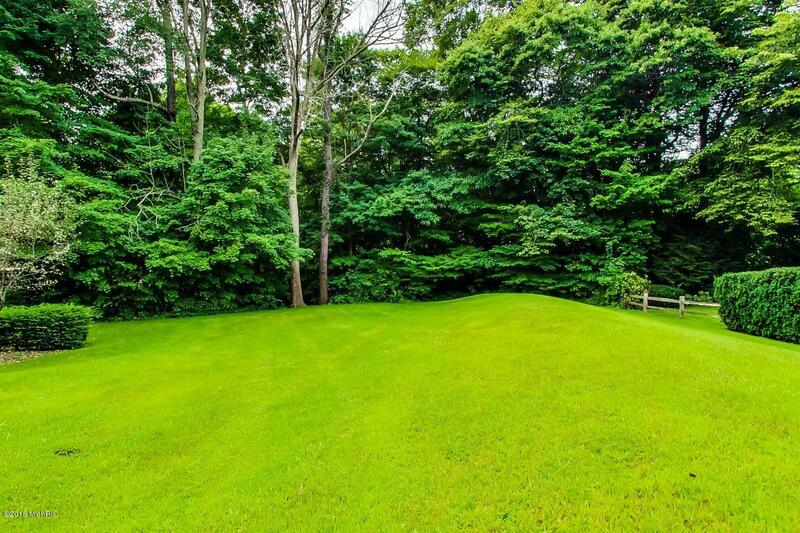 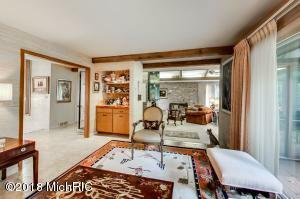 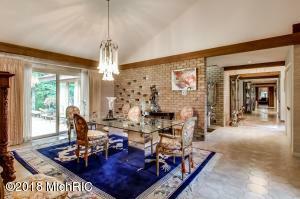 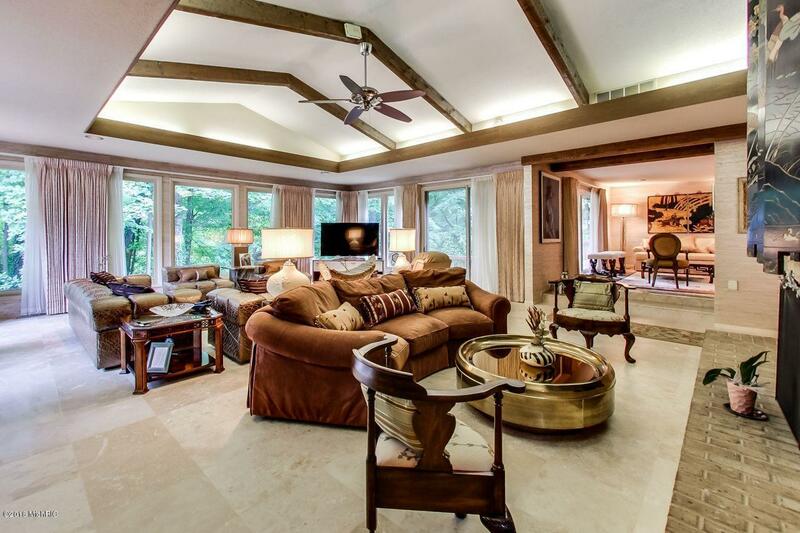 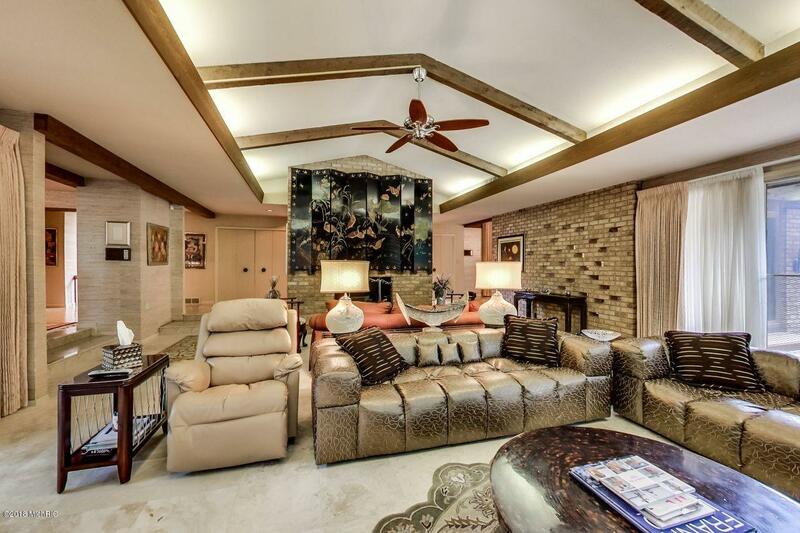 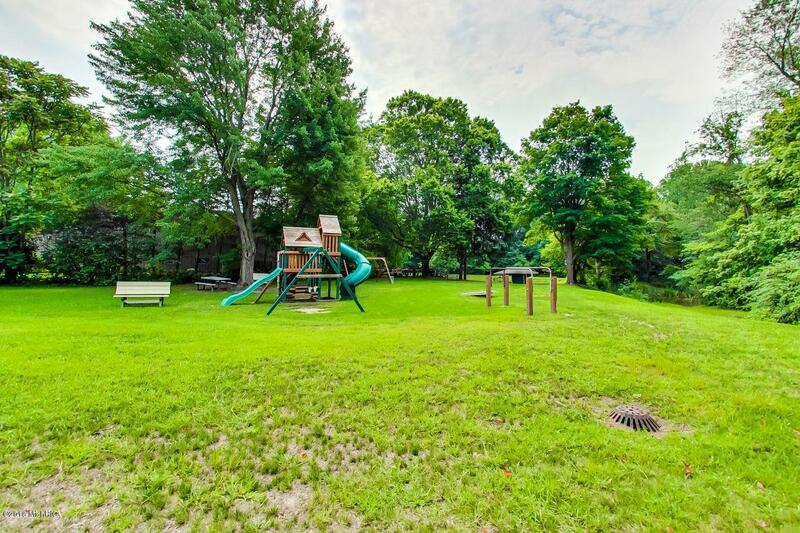 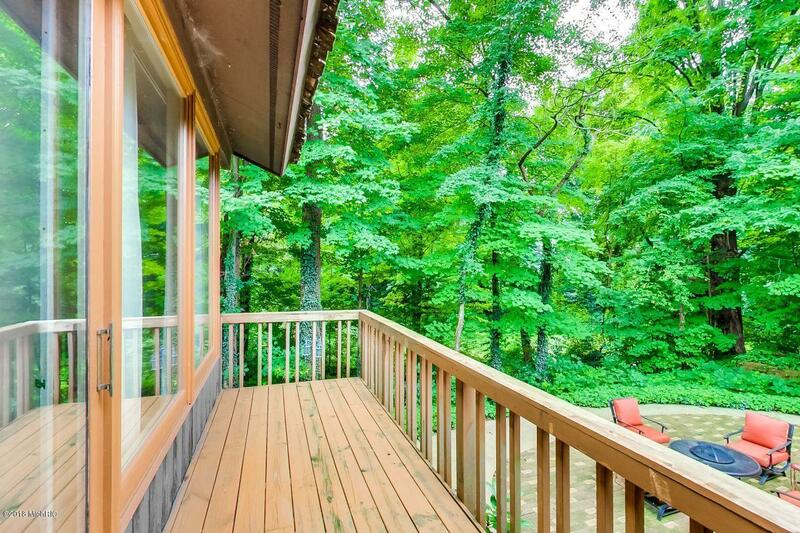 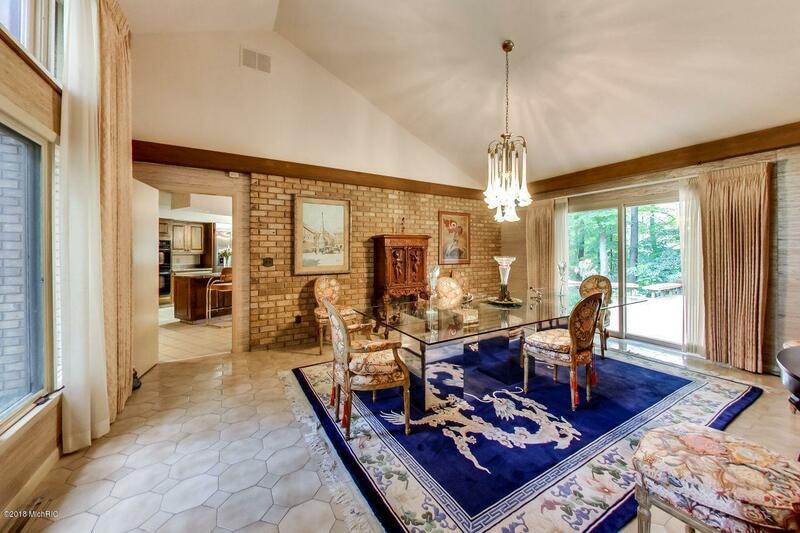 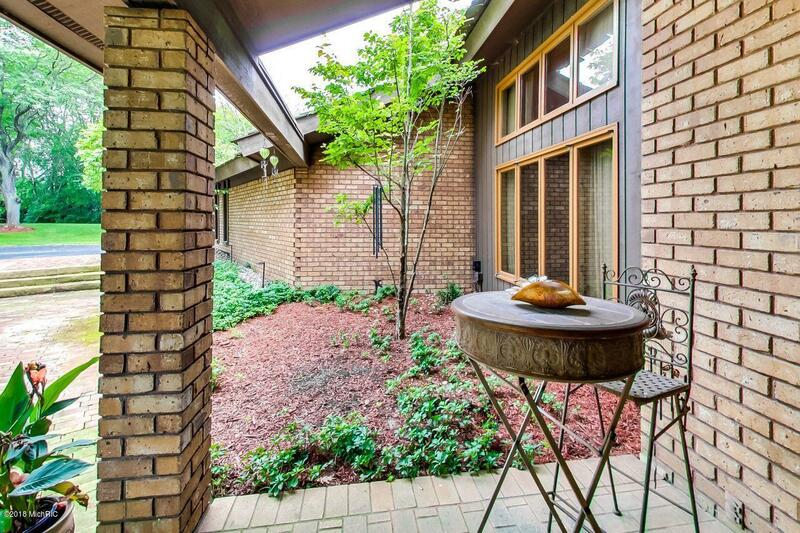 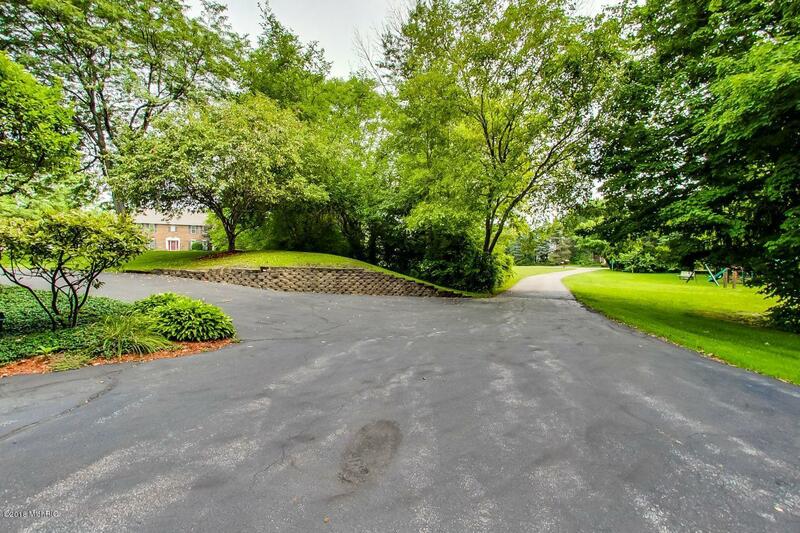 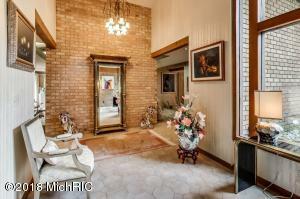 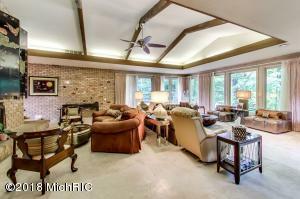 This very private 4 bedroom, 5 1/2 bath home offers expansive views from every room. 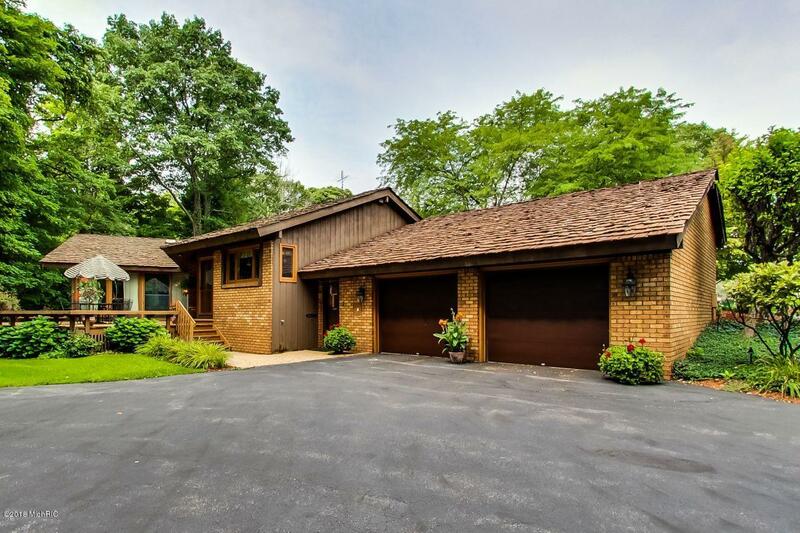 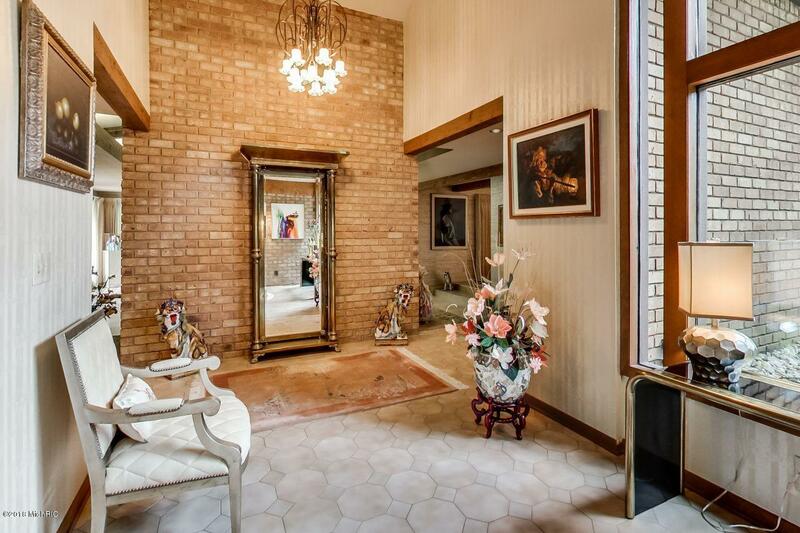 Features include vaulted Great Room with brick wood burning fireplace, custom lighting, Travertine marble floors, family room with wet bar, walkout lower level to brick patio and fire pit. 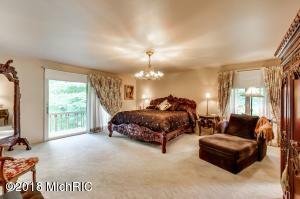 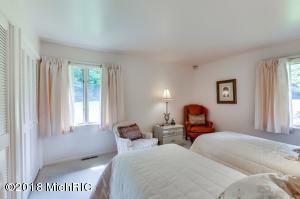 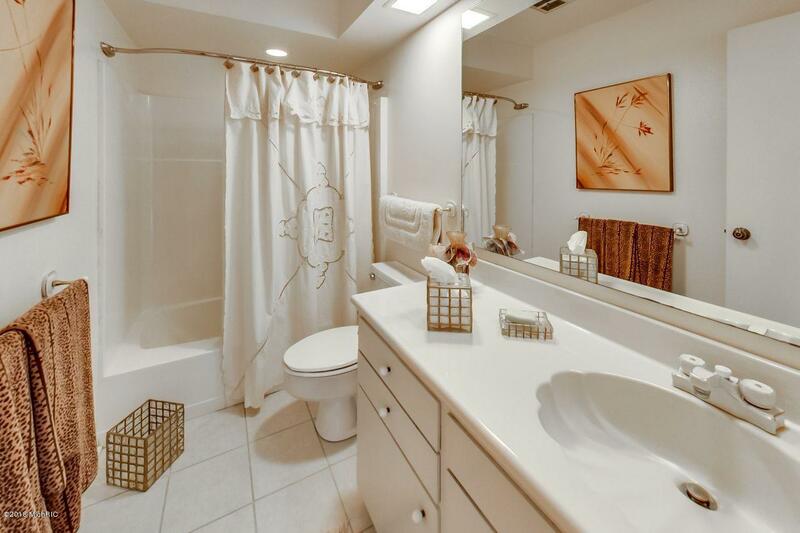 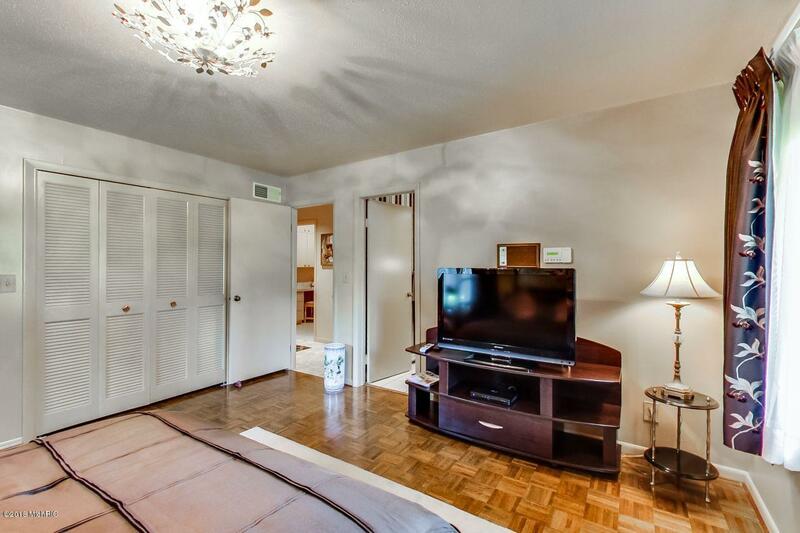 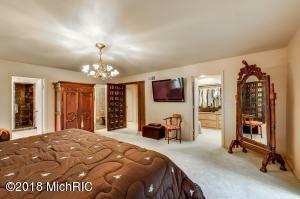 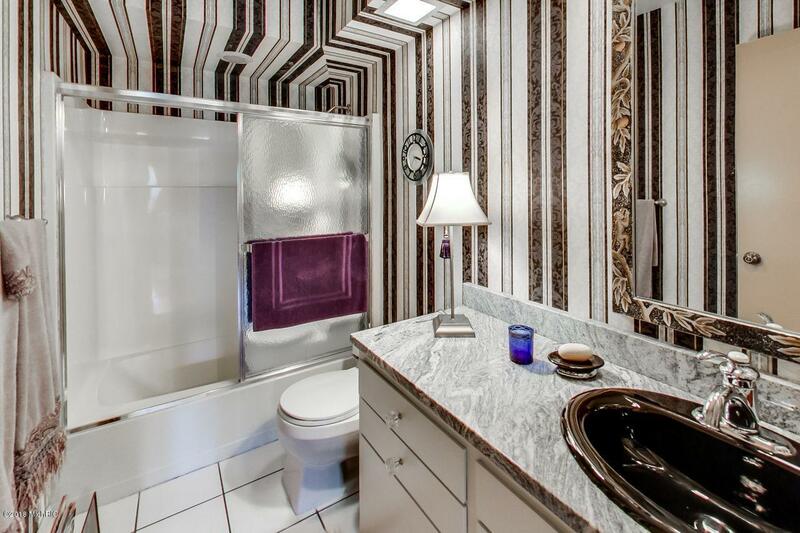 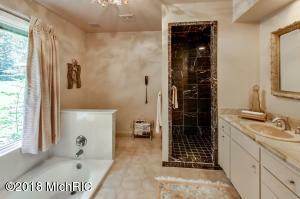 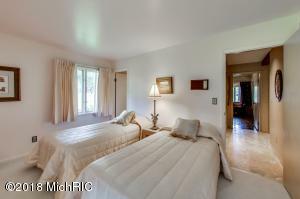 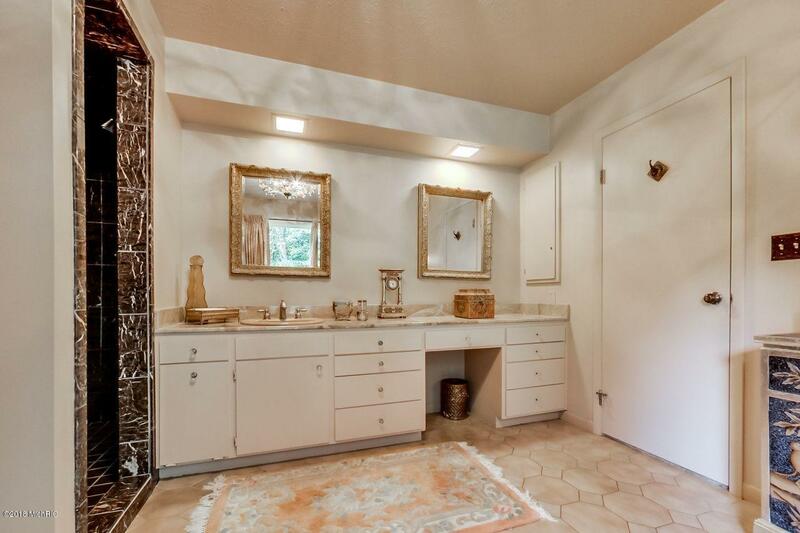 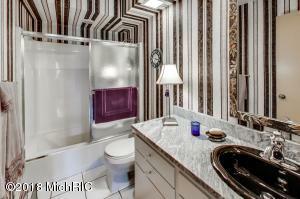 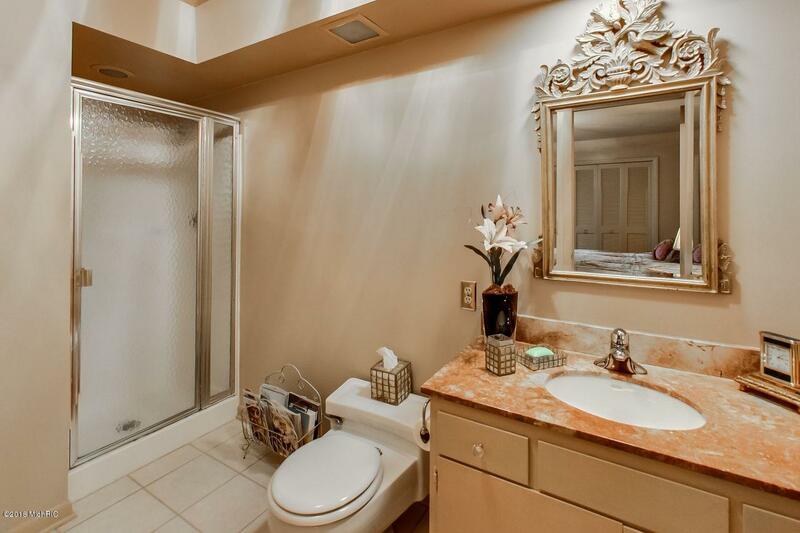 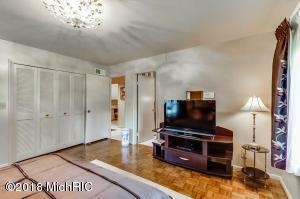 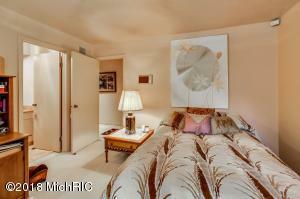 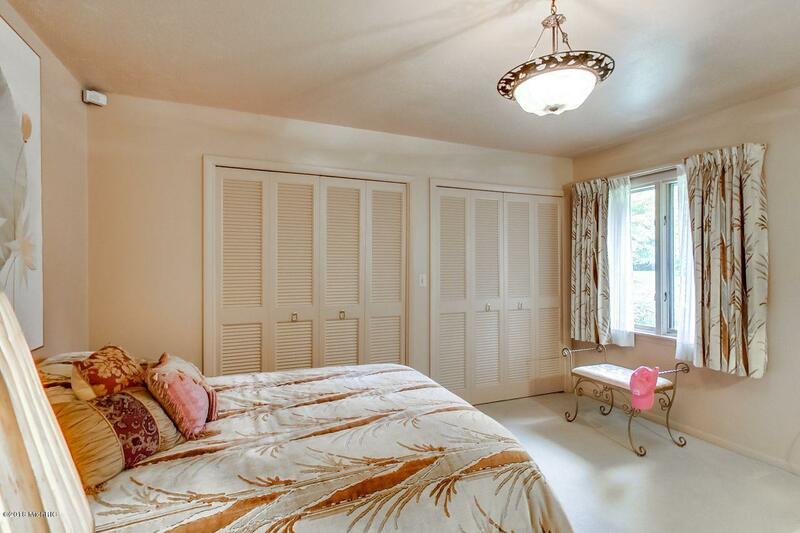 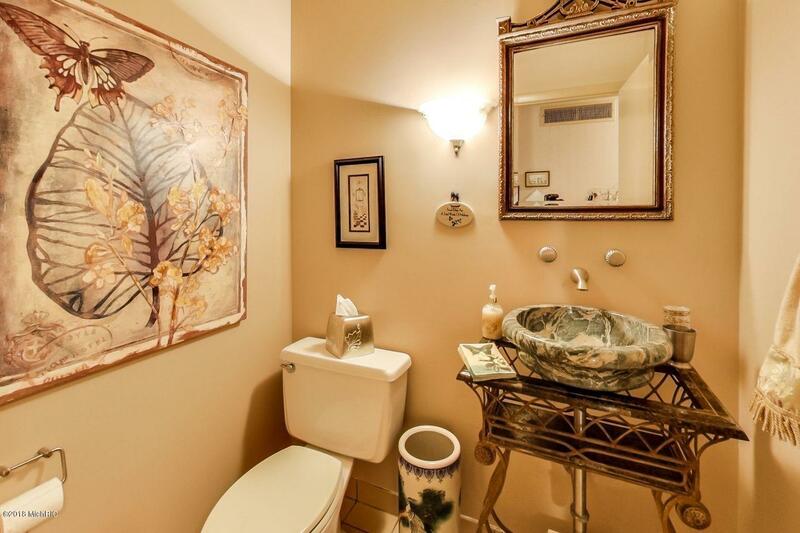 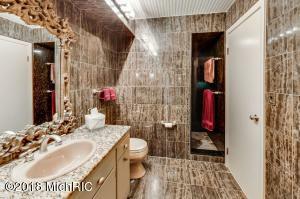 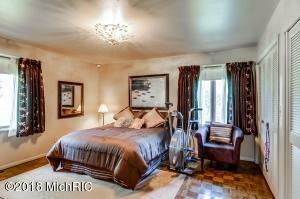 Gracious master bedroom suite with two full marble baths, custom walk-in closet and balcony. 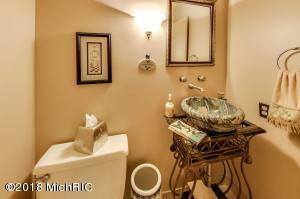 The three guest suites offer ensuite baths. 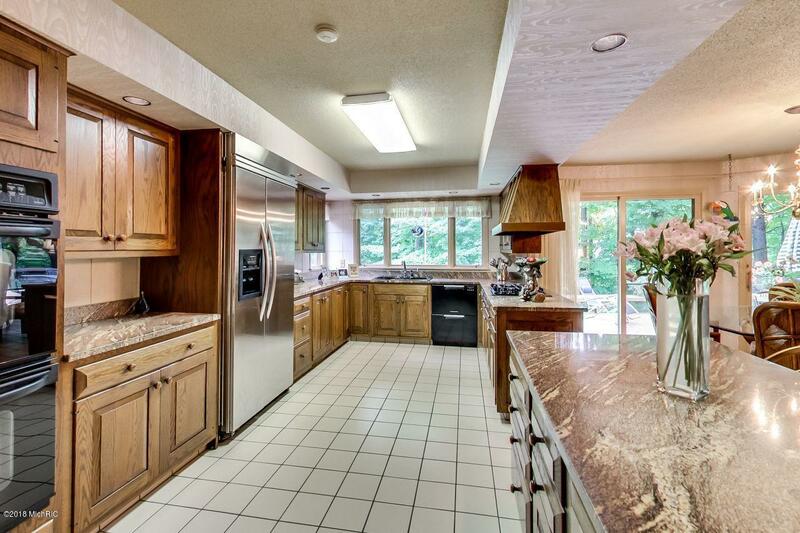 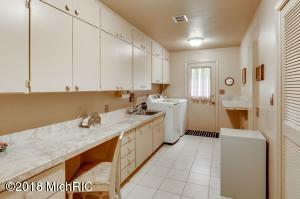 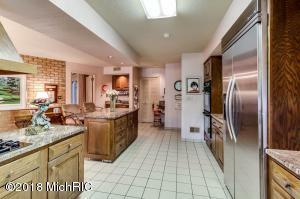 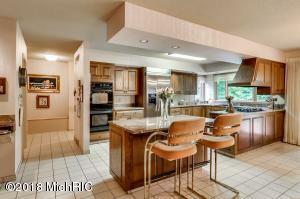 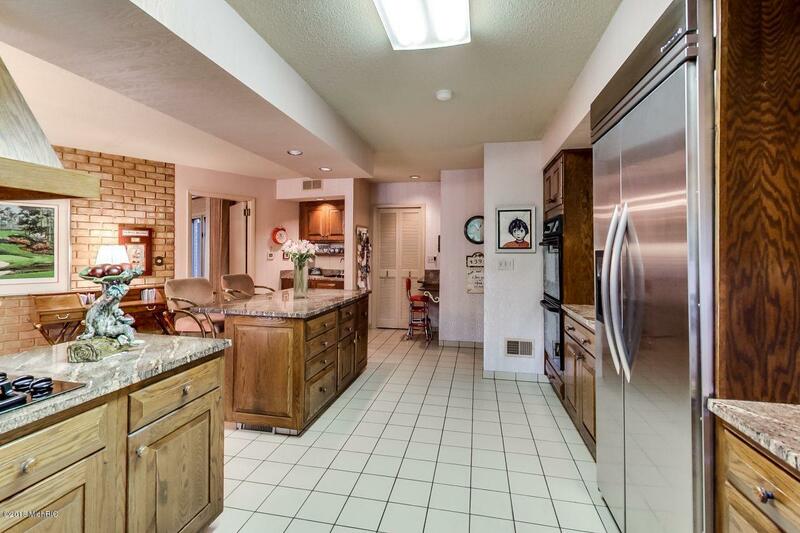 Chef's kitchen with granite counters and top of the line appliances including Fisher & Paykel dishwasher. 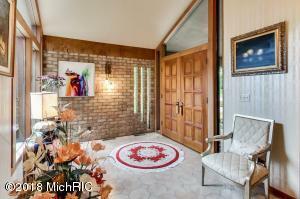 Gallery style 6' wide hallwalls. 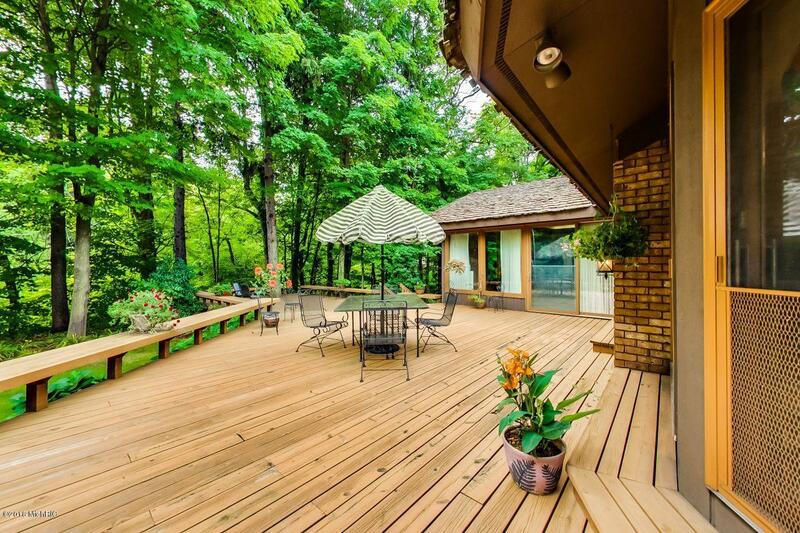 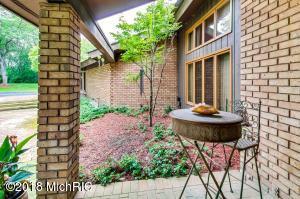 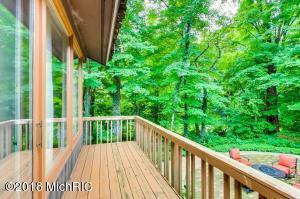 Enjoy nature and the summer breezes from the extensive decks and patios. 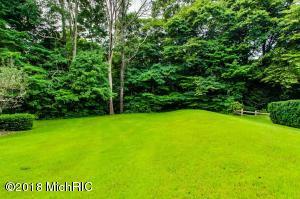 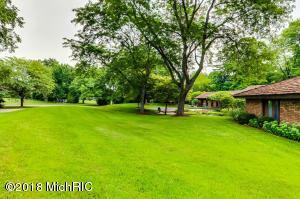 Close to the beautiful Lake Michigan beaches.